Fresh Air Exhaust has over 1100 satisfied customers. If you wakesurf or listen to stereo get Fresh Air Exhaust. 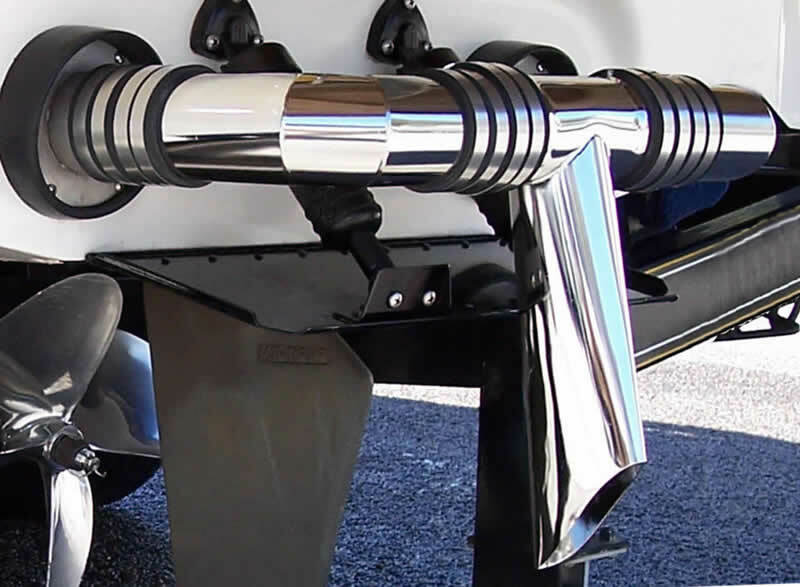 Does not impact boat handling or performance. Made in America. For more FAE info, click here. Pro X Series Fat Sacs are simply the best. They are manufactured in America using the same tough material used in whitewater rafts. They are easier to use becuase they do not have a liner, come standard with quick release fittings and will provide years of trouble free service. The Tsunami Pro X pump is one of the fastest and most reliable fat sac pumps available. Free Shipping on all Fat Sacs. For more info, click here.